I was recently invited to SoftSheen-Carson Optimum's Miracle Oil launch with Tracee Ellis Ross, daughter of Diana Ross at 404. 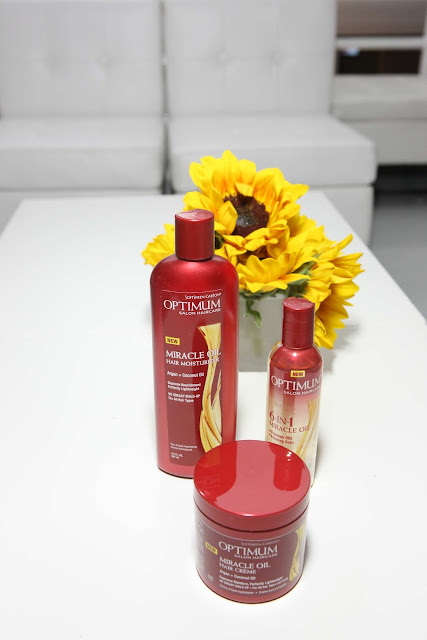 It was a treat to slip away for an afternoon and learn about this exciting line for women with natural or relaxed tresses. The gorgeous Curly Nikki was also in attendance (you can check out her recap here!). 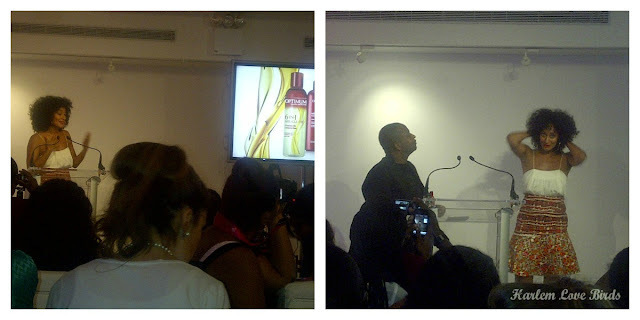 Tracee was very enthusiastic about the product line even jumping in to demonstrate how awesome it is in her own hair! Her bubbly personality was infectious and got everyone excited to try the product. It was passed around the audience and models with various textures allowed us to feel the product in their hair. In addition to the oil, the Miracle Oil line includes moisturizer and creme. We were given products to take home and so far I've used the moisturizer in styling Lil Love Bird's hair and her hair soaked it right up, but I promise a full review of the products on both mine and Nia's hair soon! If you want to get your hands on Miracle Oil products they are now available at major chains nationwide.